Call or e-mail to see if I currently cover your area or else I can recommend other automatic driving schools in Nottingham. For more details visit my contact me page. You can contact me for help or a chat, I tend to be quite busy but please leave me a message and I’ll get back to you. For information and useful driving related resources visit my links page. My driving lessons / courses are structured to an extensive yet flexible 5 stage syllabus to ensure you are fully prepared for safe driving for the rest of your life - not just the driving test. 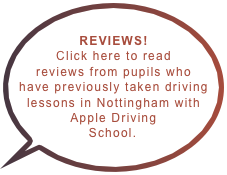 Automatic (electric) driving lessons can be fun with my well established Nottingham driving school. 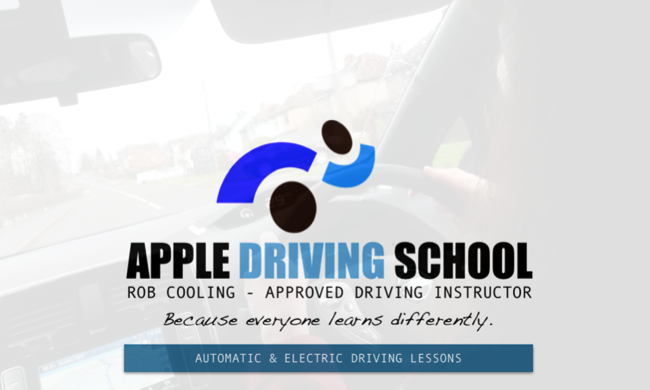 I provide courses to learner drivers, pupils with learning difficulties / special needs, those looking for refresher lessons, intensive courses or Pass Plus. My name is Rob and I am a fully qualified driving instructor committed to patient and creative teaching. Nervous drivers are always very welcome. To learn more about me click here, or for my reviews click here. I enjoy specialising in teaching pupils with diverse special needs, learning difficulties, anxiety and elderly / mature drivers. I am enthusiastic and experienced regarding these subjects although despite my constant studying and training I have much more to learn as each pupil is unique. I have a profile on the specialist Disability Driving Instructors website.